The last week of August brought us a mixed bag, hot at the beginning, rain in the middle and cooler towards the end. Our fishing has been on the same track, some days are great while others were a little slower. Overall we did however manage to have another good week including a few nice fresh silver bullets! Our rivers all received a much needed bump in water but we certainly could use more. The Bonaventure is fishing well but we had to work a little harder. The Petite 's water is low but the temperature is fine, we continue to do well on the Petite. The Grand Cascapedia needs some rain, we're having action every day but having to work harder, the branches are still too low for good fishing. 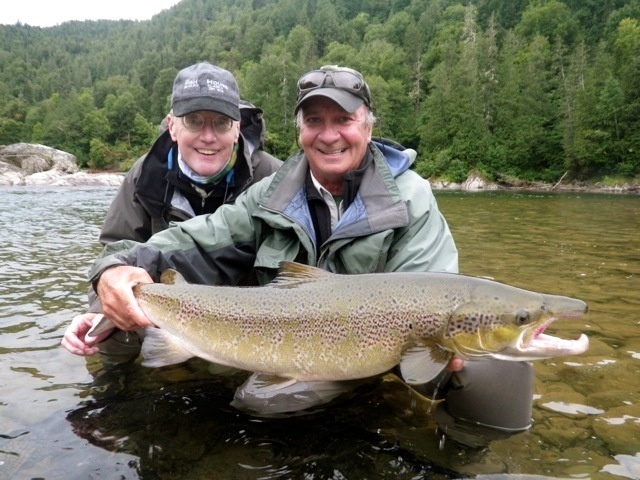 Angler Mike Harper with Salmon Lodge guide Clement Bernier, this was Mike first Atlantic Salmon, Congratulations Mike. 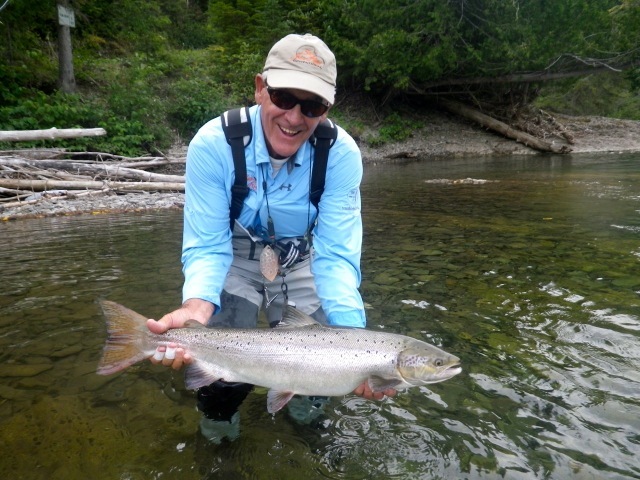 Budd Isaacis releases another one back to the Bonaventure, Way to go Budd. 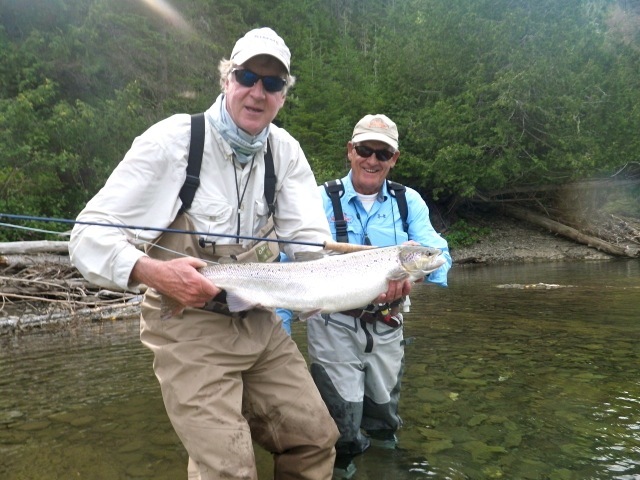 Henry Gordon with a nice Bonaventure grilse.